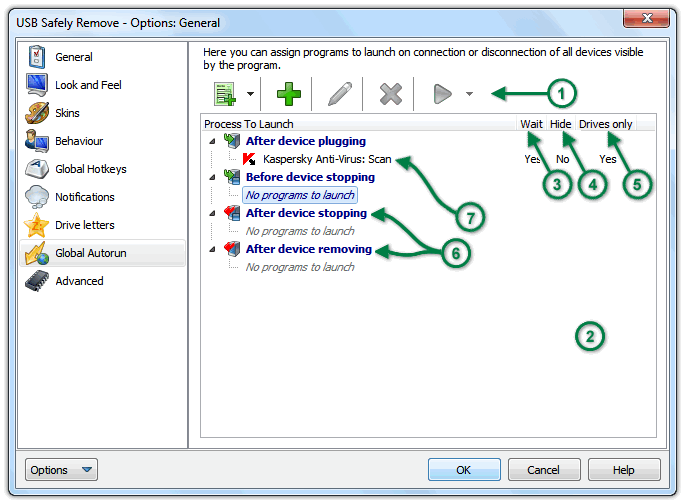 USB Safely Remove has well thought-out user interface which allows most users to comfortably work with the program immediatelly after its installation, without any additional actions. However everyone is unique and has his own choice and working style. 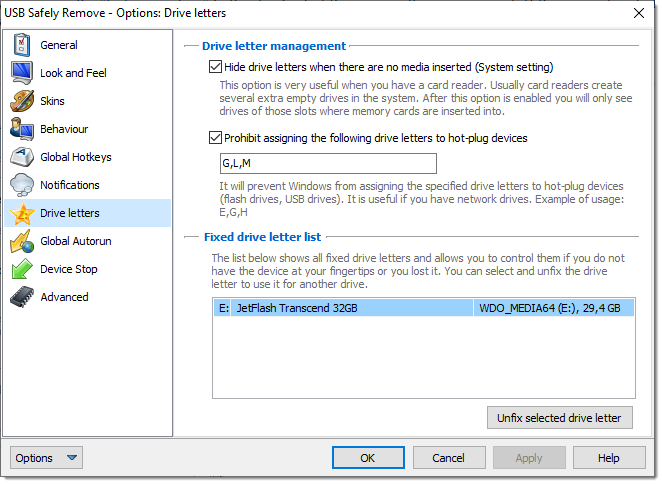 Therefore, USB Safely Remove allows to change virtually every aspect of the program. 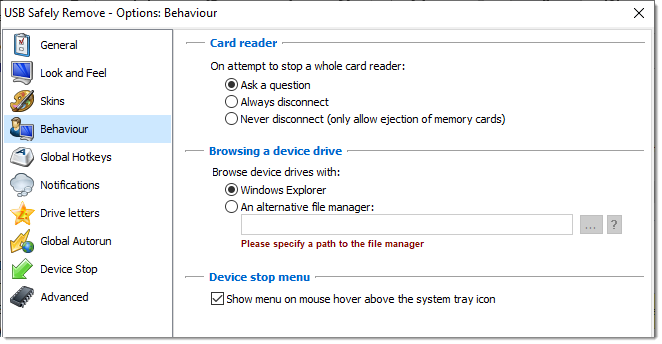 For some devices, those devices cannot be seen either in USB Safely Remove or the native Windows safe removal tool. 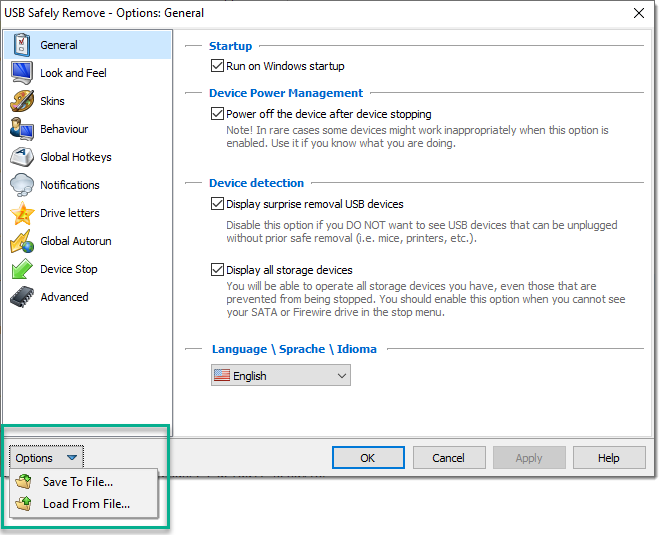 Enable this option and you will see all storage devices, even non hot-swappable items (such as your IDE drives). 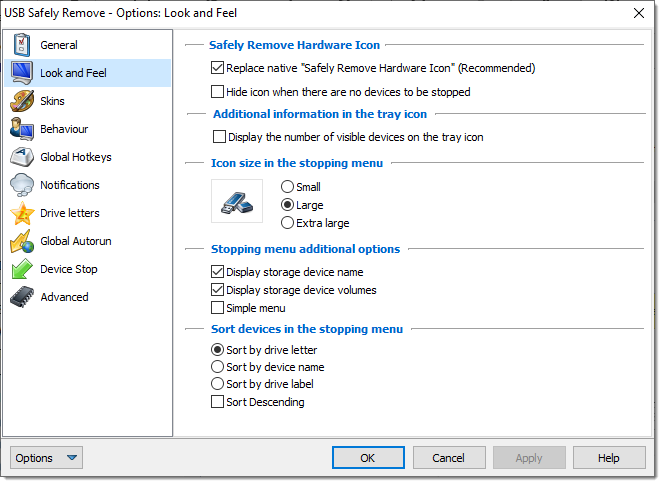 You can then hide any devices which do not need to be displayed from the stop menu and leave only the required ones. Every 5 days the program checks with the "safelyremove.com" webserver to see if a newer version has been released. If so, the program will notify you that an update is available. 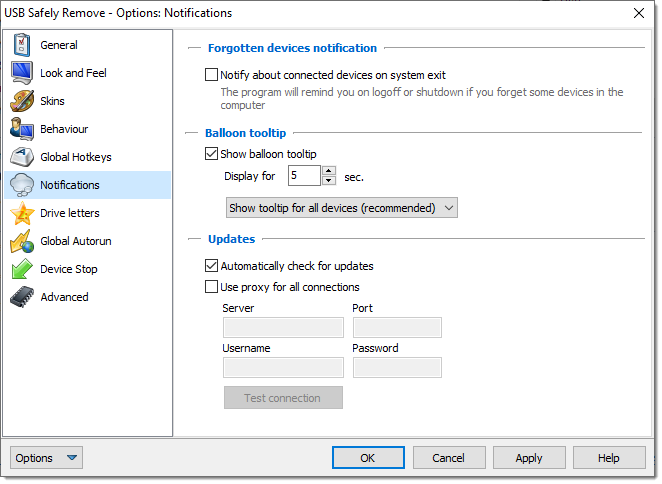 Once the changes to the settings are complete and ready to be saved, you can use the "test connection" button to check if the proxy settings are correct. If the connection to the safelyremove.com server with the specified proxy settings does not work properly, you will be informed of the error.